How to represent char, int and float data in memory? What is intermediate file and how to see intermediate file? What is cyclic nature of data type? Since 5.2 is recurring float number so it different for float and double. Number likes 4.5, 3.25, 5.0 will store same values in float and double data type. Note: In memory float and double data is stored in completely different way. If you want to see actual memory representation goes to question number (60) and (61). In ++a, ++ is pre increment operator. In any mathematical expression pre increment operator first increment the variable up to break point then starts assigning the final value to all variable. Step 1: Increment the variable I up to break point. Step 2: Start assigning final value 7 to all variable i in the expression. (A) It will print nothing. Where we can use break keyword? In c printf function follows cdecl parameter passing scheme. In this scheme parameter is passed from right to left direction. So first ++a will pass and value of variable will be a=10 then a++ will pass now value variable will be a=10 and at the end a will pass and value of a will be a=12. What is cedecl and pascal parameter passing convention? Return type of printf function is integer and value of this integer is exactly equal to number of character including white space printf function prints. So, printf(“Hello world”) will return 13. We cannot copy any thing using strcpy function to the character pointer pointing to NULL. Complete tutorial of looping in C.
Body of for loop is optional. In this question for loop will execute until value of variable x became six and condition became false. Default type of floating point constant is double. So 5.2 is double constant and its size is 8 byte. 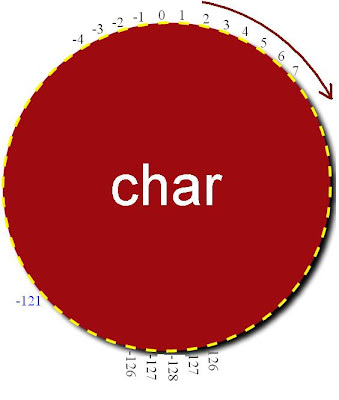 Detail explanation of all types of constant in C.
In c any character is starting with character ‘\’ represents octal number in character. As we know octal digits are: 0, 1, 2, 3, 4, 5, 6, and 7. So 8 is not an octal digit. Hence ‘\08’ is invalid octal character constant. ## is concatenation c preprocessor operator. It only concatenates the operands i.e. If you will see intermediate file then you will find code has converted into following intermediate code before the start of actual compilation. It is clear call(x, y) has replaced by xy. In this question variable a is a local variable and its scope and visibility is within the function call. After returning the address of a by function call variable a became dead while pointer ptr is still pointing to address of variable a. This problem is known as dangling pointer problem. What is error in following declaration? (A) Nesting of structure is not allowed in c.
It is necessary to initialize the member variable. (C) Inner structure must have name. (D) Outer structure must have name. (E) There is not any error. How to read complex pointers. It is clear macro constant max has replaced by 5. It is illegal to increment the constant number. Hence compiler will show Lvalue required. How to see intermediate file? It is clear p is far pointer and size of far pointer is 4 byte while q is double variable and size of double variable is 8 byte. If you need more explanation of above C multiple choice questions you are free to ask. How? not 21 why ? The output of this code is 19 and I don't know why !! it depends upon compiler used..